Payment plans are also available for the tuition portion of the amount due. Our Enrollment Associate can help you set up convenient payments. An accredited diploma will be awarded upon completion of Clonlara’s graduation requirements. High school students who are already fully enrolled in one of Clonlara’s Off-Campus programs or Campus School can choose to take individual courses from the Online Program. 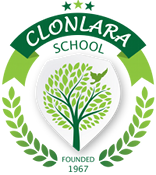 Clonlara School Online program courses are eligible for high school credit that can be counted toward a Clonlara diploma or transferred to other public or private schools. $520 – tuition per one credit or two half-credit courses chosen from the high school course catalog. $420 – tuition for one half-credit course chosen from the high school course catalog. Middle school students who are already fully enrolled in one of Clonlara’s Off-Campus programs or Campus School can choose to take individual courses from the Online Program. Clonlara School Online program courses are transferrable to other public or private schools. $520 – fee for one yearlong course chosen from the middle school course catalog. $420 – fee for each one semester course chosen from the middle school course catalog. Throughout the enrollment process, we do our best to ensure that families understand the time commitment and collaborative nature of our Program. If, however, you decide that the Program is not meeting your needs, these are the terms for tuition refunds. Clonlara School reserves the right to change tuition and fees at any time.